Zimbabwe’s president has re-appointed as one of his vice presidents a former military general who helped him take power. 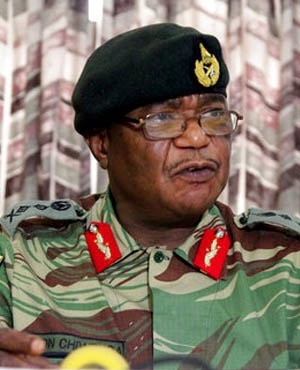 President Emmerson Mnangagwa has appointed Constantino Chiwenga, who led the defence forces when the military rolled into the capital in November to pressure longtime leader Robert Mugabe to resign. Chiwenga later left the military with several other generals to take up leadership positions in the government and ruling party. Chiwenga and Kembo Mohadi were sworn in as the two vice presidents on Thursday as Mnangagwa’s first Cabinet appointments since his inauguration on Sunday after a disputed election. “For now, Mnangagwa and Chiwenga need each other for political survival strategic purposes,” says Harare-based analyst, Alexander Rusero.